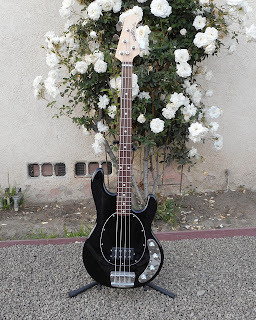 I have long been a big fan of the MusicMan Stingray bass and it seems like I always have one around the house because I think they are the best bolt-neck production basses on the market. So, this seems like a good opportunity to look over the 2011 Stingray that I recently picked up. 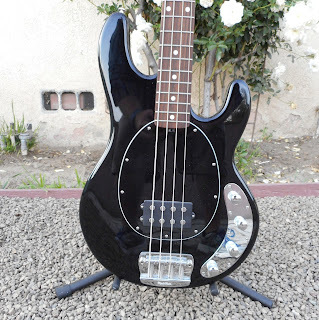 The Stingray bass was designed by Leo Fender and Tom Walker, and it was introduced in 1976. It was originally available only as a 4-string with a single humbucker pickup, a two band equalizer, and active electronics. This was one of the earliest productions basses with an active pre-amplifier, if not the first. This gave it more output and a more aggressive sound than the competition. Ever since Ernie Ball Strings bought the MusicMan brand in the 1980s, there has been a constant improvement in features and options available for the Stingray, including: contoured bodies, improved neck joints, better truss rod ergonomics, and more than enough electronics and pickup configurations. But I am a simple man, and I still prefer a plain-old Stingray with a single humbucker pickup and the 2-band or 3-band (like this one) equalizer. 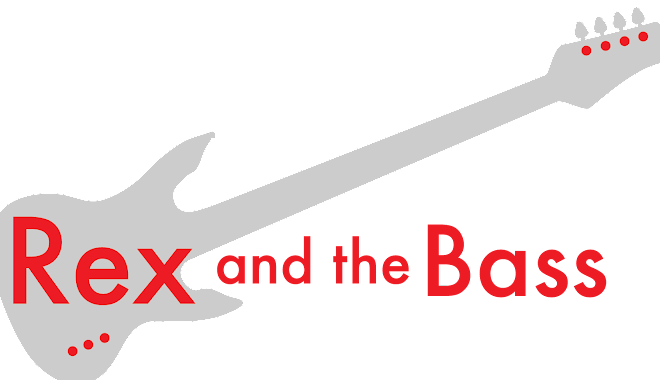 And that is why this bass appeals to me so much - because it is pretty close to the way it was originally intended to be. As I said before, this Stingray was built in 2011, and it is finished in a glossy black, like a lot of these are. This one has a contoured hardwood body with a six-bolt neck joint (for extra special sturdiness and sustain). It has has had a gentle life, so it is still in terrific shape. The original hardware is all there, which includes the Schaller BM tapered post tuners and the high-mass bridge. I love the way the bridge bolts so solidly to the body on these basses. It is not a Classic model, so it does not have the string mutes, but I am not sure how many people actually use those things anyway. The electronics are also unmolested, with the original single humbucker pickup and 3-band preamp. Stingrays have punch to spare, making them fabulous funk or rock basses. 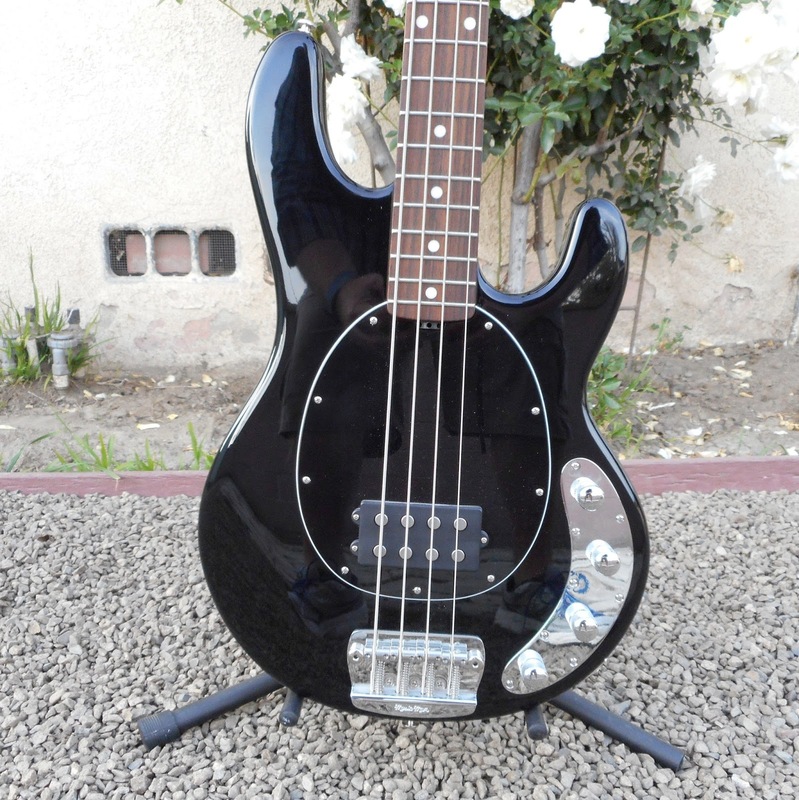 This is a well-made bass. The finish is perfect and the frets are simply gorgeous. I strung it up with some new regular gauge Slinkies, dropped the action a little, and It plays well and sounds magnificent, just like every other Stingray I have ever owned. As a bonus, it is relatively light (for a Stingray, that is), coming it at a little under 9 1/2 pounds. 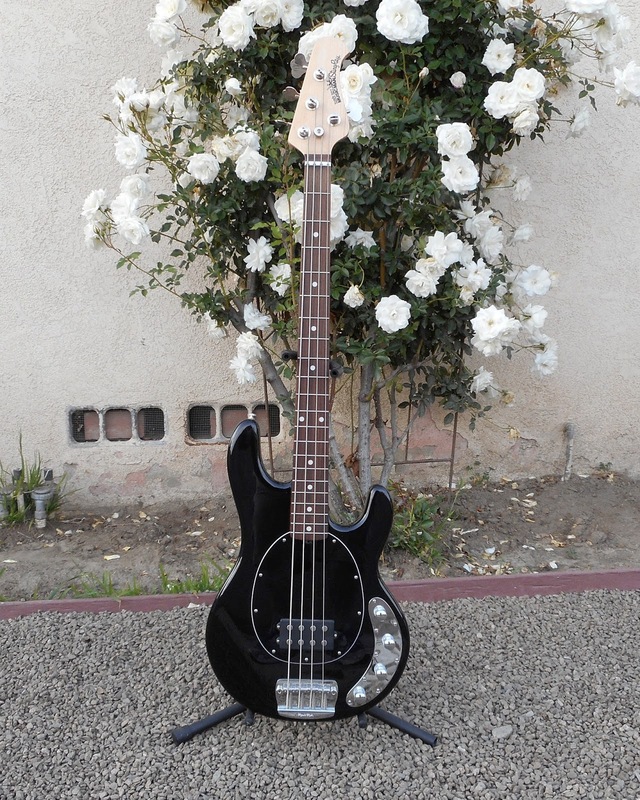 All bass players should own one of these at least once in their career.